Earn 135 points (when you buy 1) Tyson Frozen Grilled & Ready Chicken for only $8.99 each! Plus, there will be plenty (ha! get it?) 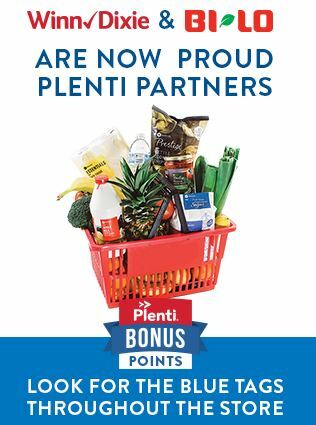 of bonus Plenti Points offers to earn in store! Just look for blue tags! If you are a Rite Aid shopper you should already be familiar because Rite-Aid switched to Plenti a couple years back. When you shop at Winn-Dixie, you’ll be able to earn Plenti points. These Plenti points can be saved up and are valid for at least two years and can be used at Winn-Dixie and other Plenti partners. 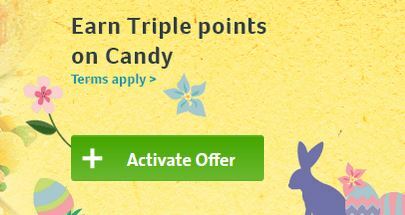 Once you’ve earned 200 points, you’ll be able to start redeeming your points. (Each Plenti Point is worth $.01). You can also earn Plenti points when doing doing transactions and purchases at AT&T, Exxon and Mobil, Macy’s, Nationwide, Rite Aid, and more. Then you can use those points for savings at certain partners including not just Rite Aid but also Exxon/Mobil, and Macy’s. What does that mean for current Winn-Dixie shoppers? use your Plenti points earned at the checkout at Winn-Dixie! earn points on purchases at Exxon-Mobil that can be spent at Winn-Dixie! What do you think? I’m really kind of excited about the change!